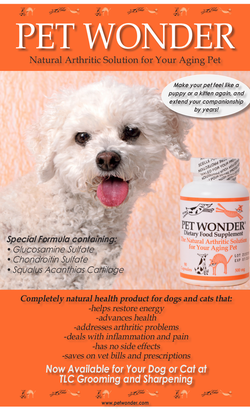 Pet Wonder - the all natural miracle product That will save you thousands in vet bills. Available exclusively at TLC Grooming for only $19.99. Call us at 613-745-5808 to order or shop online. The effects of Pet Wonder can often be noticed within a week!!! and your loved one waiting for?